I've been reading the Dragon Ball Super manga a lot recently, and really admiring Toyotarō's fight scenes. 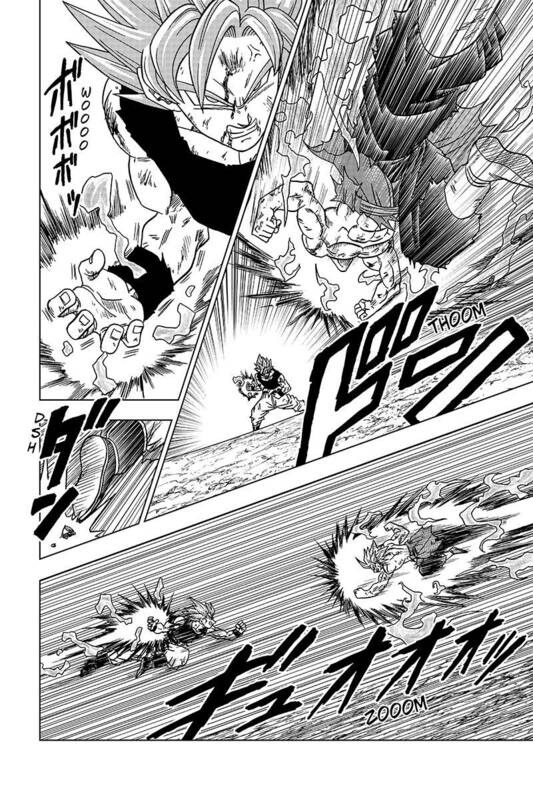 Akira Toriyama has always been my favorite artist when it comes to action scenes, and Toyotarō has been doing a great job emulating his style. I always struggle with drawing and writing fight scenes, so it's something I really want to get better at. I love drawing characters with cuts and bruises though, because it makes them look more like they're in a real world and not just perfect. It's kind of like how you're supposed to beat up textures of environments to make them look more believable. So this is Gair and Trekkon fighting (probably during the Searching for Home Eventure?). This is after Trekkon is already working for Death, so it's actually my first time drawing his new design in these clothes. I also had a lot of fun with this shading style of using lots of lines! So for this week's Concept Sunday, I referenced one of the panels of the Dragon Ball Super manga (Chapter 25, page 16), but replaced the characters with Gair and Trekkon. 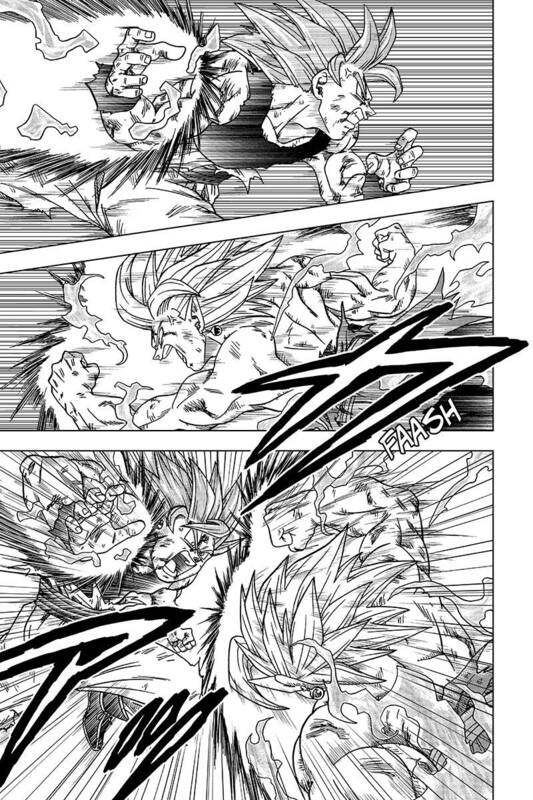 I technically referenced both the last panel on page 16, and the beginning two on page 17, so these are the original panels that I referenced (I obviously did not draw these, all credit goes to Toyotarō). Here's a gif showcasing the process! I started with a basic layout of the poses. Then I added a few facial features, figuring out where the eyes would point. I also sketched out some hands for Gair. Then I added some lines straight across in the background, and some white spaces to surround the characters so they wouldn't get lost in the background. Then I slanted the lines to give it more direction and depth. And then I re-drew the characters with many more details and cleaner lines. I added flat colors to the characters. Then I added in shading, going with the background lines. White felt too boring for a background, so I added a dark backdrop color. It looked too dark, so I changed the line color to a lighter blue, and adjusted the white colors to orange and yellow. The colored backs didn't feel right, so I changed it to more of a blue-ish white color instead. Then I added action lines to give it more movement. And finally I added some blood and bruises to make them feel more like they were in a battle. It added a lot more believability for me.